Cypress Park — Big Saver Foods is wrapping up business and closing its doors after serving as the neighborhood’s largest market since the early ‘90s. The upcoming closure is no secret. Big white signs are posted all over the entrance and inside the store announcing its new hours and storewide closing discounts. The store at 2619 N. Figueroa Street near Avenue 26 could close as soon as the end of this month. But it could remain open until December 15 due to inventory liquidation, said company officials. Huerta said he does not know who purchased the property. Several other storefronts in the same Figueroa shopping center are already vacant. 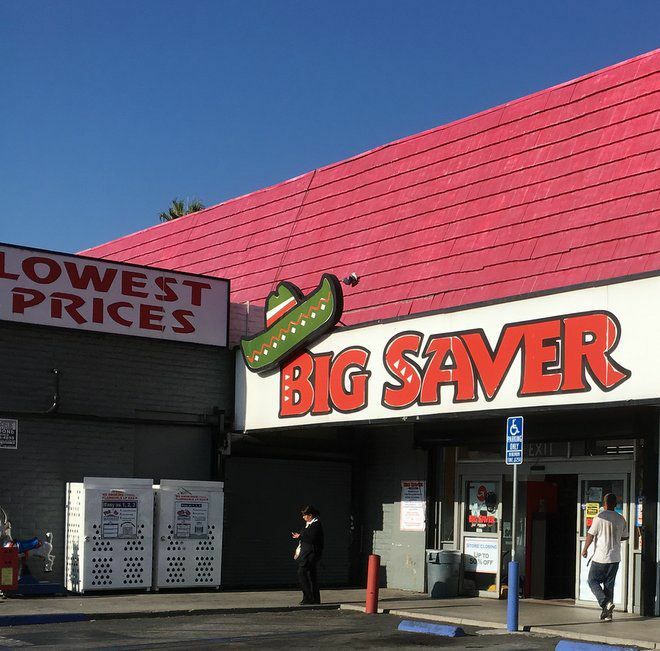 Big Saver stores in nearby El Sereno and Lincoln Heights will remain open. The Big Saver in Cypress Park — its sign topped by a green sombrero — has catered primarily to Latino customers. In fact, the company found its success early on by catering to niche markets. Other Big Saver Foods cater to African-American and Asian-American shoppers. In 1977, Uka Solanki, an immigrant from India, purchased Big Saver Foods and expanded it into a chain operating across the region, according to a company history. There are currently 11 stores in Los Angeles County, Orange County and Riverside area. Solanki passed away in September due to complications from a lung disease. The upcoming closure of the market has met with mixed emotions. On social media, users reactions range from sadness to being totally unsurprised by the news. Others wish a Trader Joe’s takes its place. The other rumor is that a Walgreens drug store will be moving into the space. However, nothing has been confirmed. What would you like to see takeover the location? What do you think Cypress Park needs?